Want a billion dollars in development aid? If you happen to live in Afghanistan, the two quickest ways to attract attention and so aid from the U.S. authorities are: Taliban attacks or a florishing opium trade. For those with neither, the future could be bleak. Yet the million-dollar views and centuries of history are cold comfort to villagers who have no electricity, running water, or public sanitation systems -- and little in the way of jobs in this hardscrabble area. While some of them live in simple mud homes in places like Dragon Valley, others have, for lack of other housing, moved into the ancient caves below the ruined Buddhas. The situation has so disintegrated that many say they wish they could simply return to the refugee camps in Iran. In Dragon Valley, for example, I met "Khadija." As the middle-aged woman fanned a small fire fed by wood gathered from nearby, she said, "We were happy in Iran. It was good. The weather was warm. We had a good life there, but it was still someone else's country. When the [Iranian] government told us we had to go back home, we wanted to return to start a new life. But [the Afghan government] hasn't helped us at all. They told us they were going to give us wood, supplies, and doors but they've given us nothing... no help whatsoever." At Sultan Razya, I spoke to 14-year-old Alina, who bubbled with teenage excitement as she described her adventures studying secretly in teachers' houses during the Taliban era. "One day we went to class at eight o'clock, another day at ten o'clock, and another day four o'clock," she recalled. Seven years later, I returned to find Mazar now well supplied with electricity (by the Uzbek government) and connected to the capital city of Kabul by a smooth, new, well-paved two-lane highway. Although there had been a couple of suicide bombings in the city, Mazar was almost as safe as Bamiyan. Residents who fled during Taliban rule to places like Tashkent had returned with hard currency to invest in local businesses. While it would be an overstatement to say that Mazar was florishing, it's certainly decades ahead of Bamiyan in development terms. Indeed girls' education is one of the real success stories in Afghanistan, where one-third of the six million students in elementary and high schools are now female, probably the highest percentage in Afghan history. The education system, however, starts to skew ever more away from girls the higher you get. By the time high school ends, just a quarter of the students are girls. Only one in 20 Afghan girls makes it to high school in the first place and even fewer make it through. In the Pashtun-dominated southern city of Kandahar, the stories of attacks on girls' schools are already legend. In November 2008, while I was visiting Bamiyan and Mazar, three men on a motorcycle attacked a group of girls at the Mirwais School, built with funds from the Japanese government. Each carried containers of acid which they used to horrific effect, scarring 11 girls and 4 teachers. The Taliban have denied involvement, but most local residents assume the attackers were inspired by Taliban posters in local mosques that simply say: "Don't Let Your Daughters Go to School." 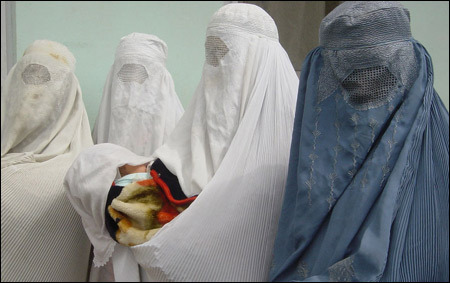 "Yes, there have been improvements in girls' education in Afghanistan. You can see it on the streets when the girls walk home from school in their uniforms, laughing with books in their hands. You can see it in the schools that have been built all over the country, in villages where they have never had schools before," Fariba Nawa, author of Afghanistan, Inc., told us. As a result, he suggested, battle-weary Afghans weren't able to articulate what they needed. "Like a patient speaking of the problems, where it is hurting, when it started, how bad is the pain, etcetera. Unfortunately, this patient here -- Afghanistan -- could not speak and you have to find out what the problem is, what is the prior diagnosis and medication." Yet, the deputy minister's words ran counter to what I had heard from the dozens of villagers around Bamiyan who knew exactly what they wanted: electricity, water, health care, a steady food supply, and jobs. I even found very articulate and well educated Afghans in Bamiyan who were more than happy to describe simple but effective projects that might have gone a long way toward serving the population's desperate needs. For example, Dr Gulam Mohammad Nadir, the chief medical officer of Bamiyan's only hospital, told us that the needs of small rural communities were already well known. For example, he assured me, he could dramatically reduce health problems and save lives with a small grant that would allow him to demonstrate basic sanitation principles in local villages.